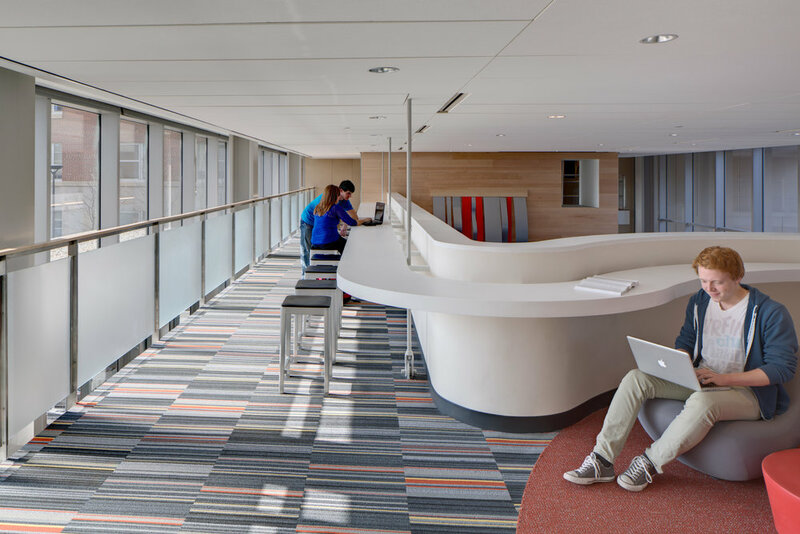 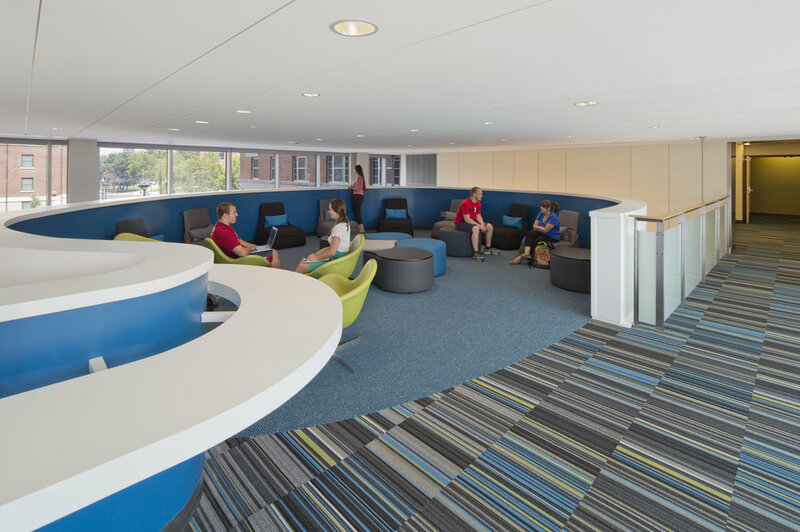 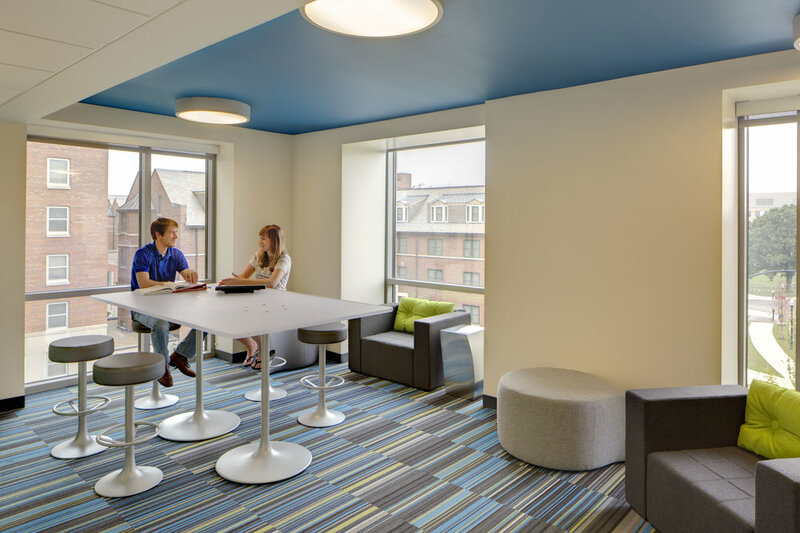 The bold additions connecting Park to Stradley and Smith to Steeb halls created 360 new beds. 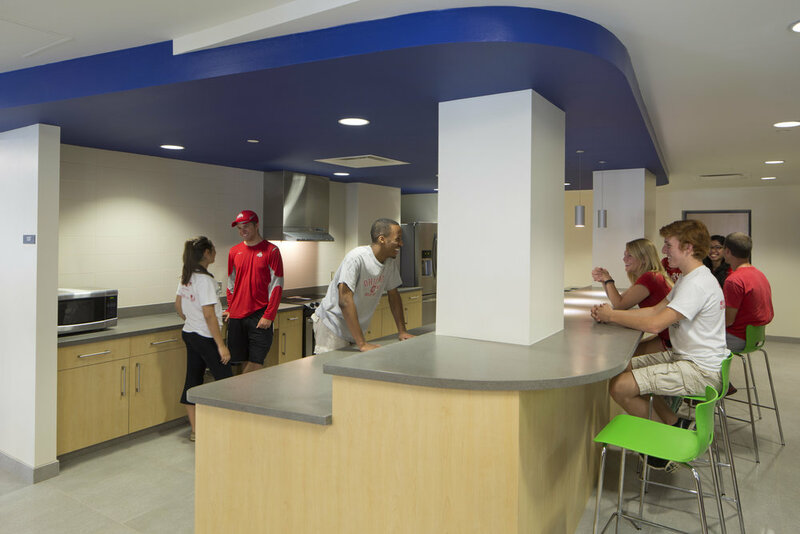 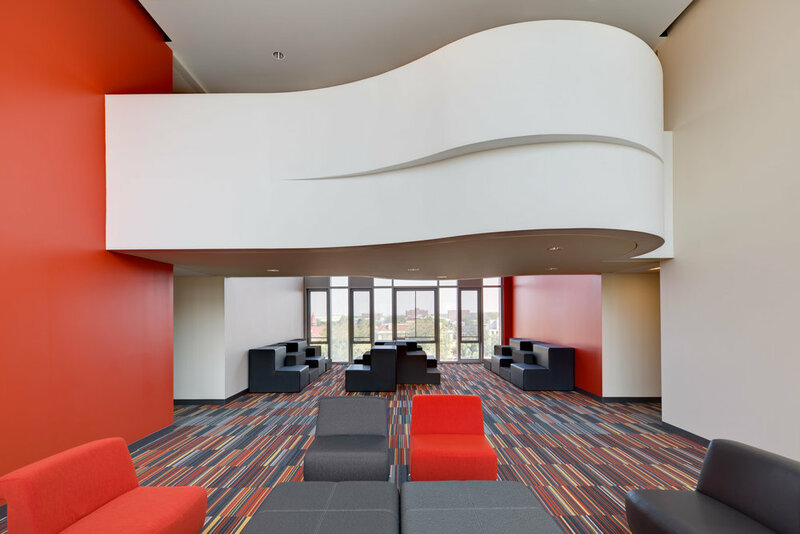 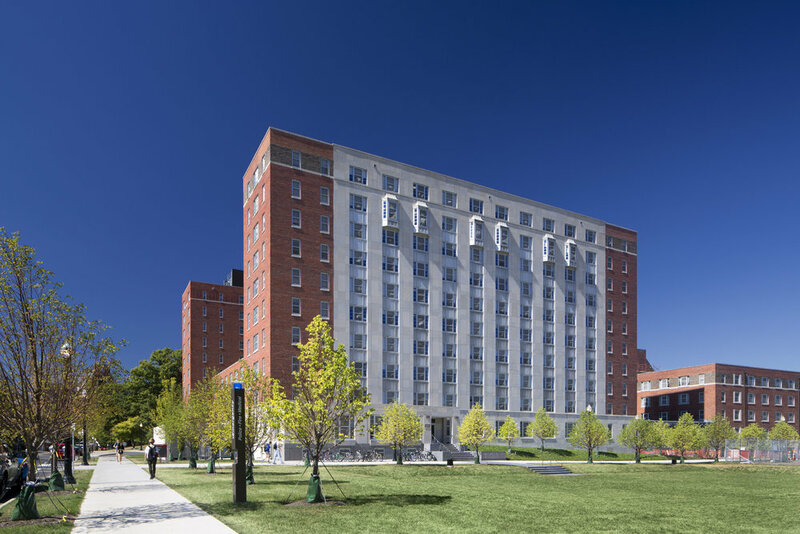 Schooley Caldwell served as Architect of Record for the $170,000,000, full renovation and expansion of five student housing facilities in the south campus area: Siebert, Stradley, Park, Smith, and Steeb Halls, collectively known as the South High Rises. 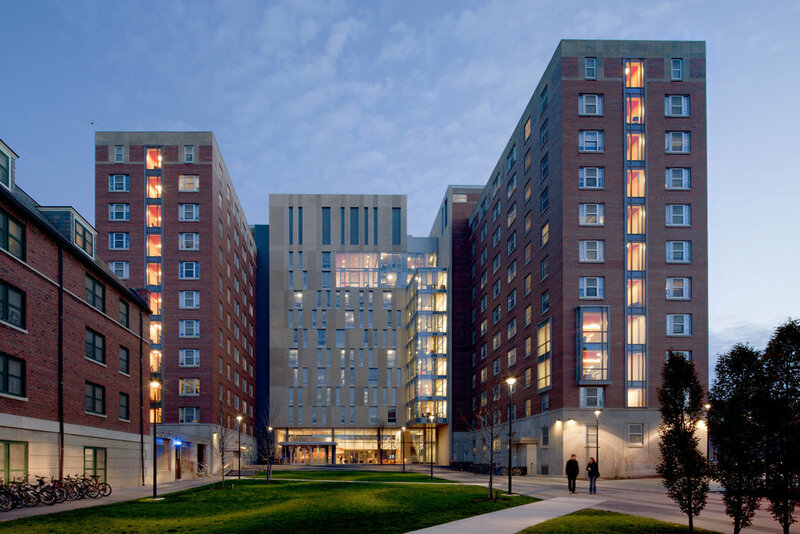 Stradley, Park, Smith and Steeb Halls were all built during the 1950’s, are all based on the same floor plan, and constructed of reinforced concrete frames clad in brick masonry and limestone. 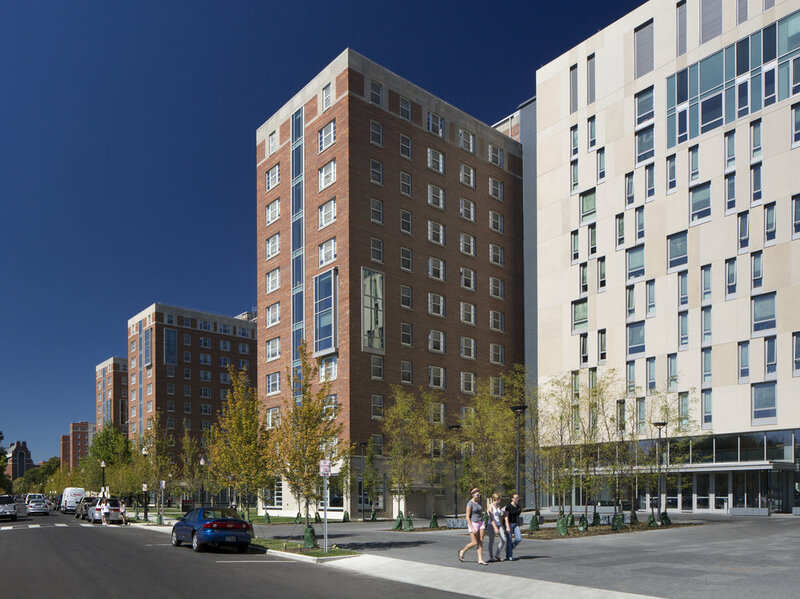 Two bold additions to these buildings created a total of 360 new beds. 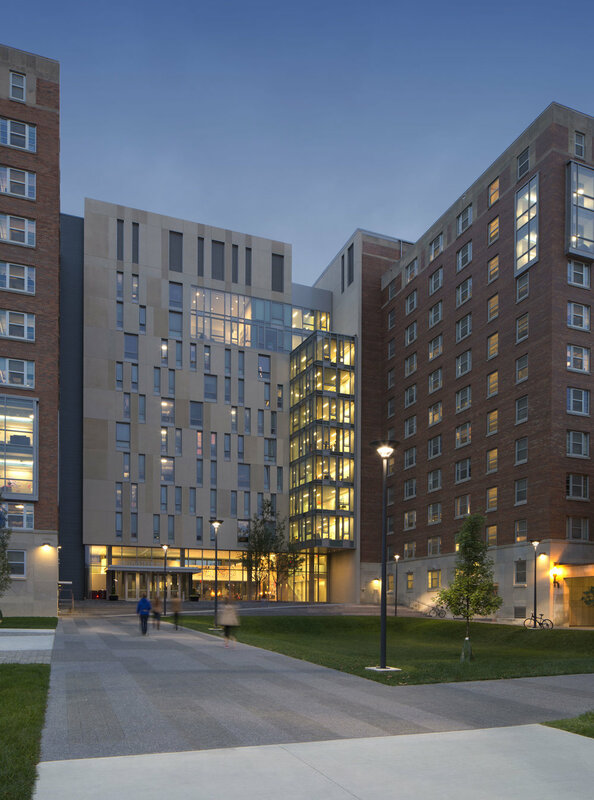 The additions connect Park/Stradley Halls and Smith/Steeb Halls, thereby creating two buildings from four. 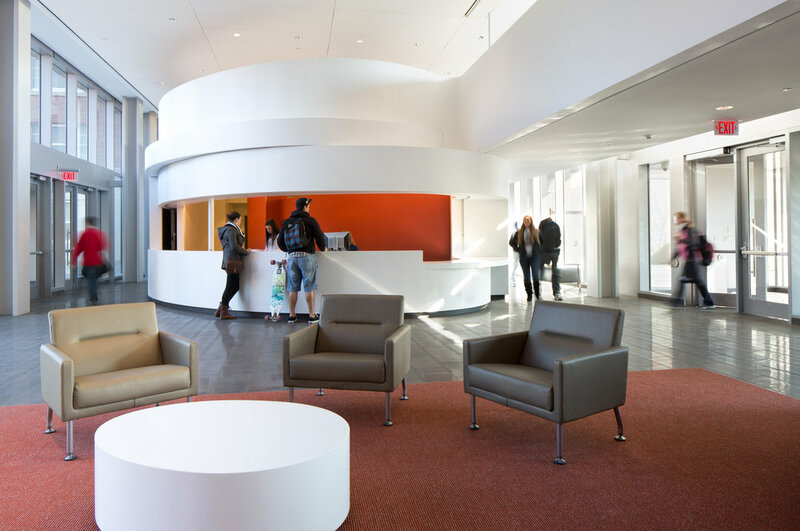 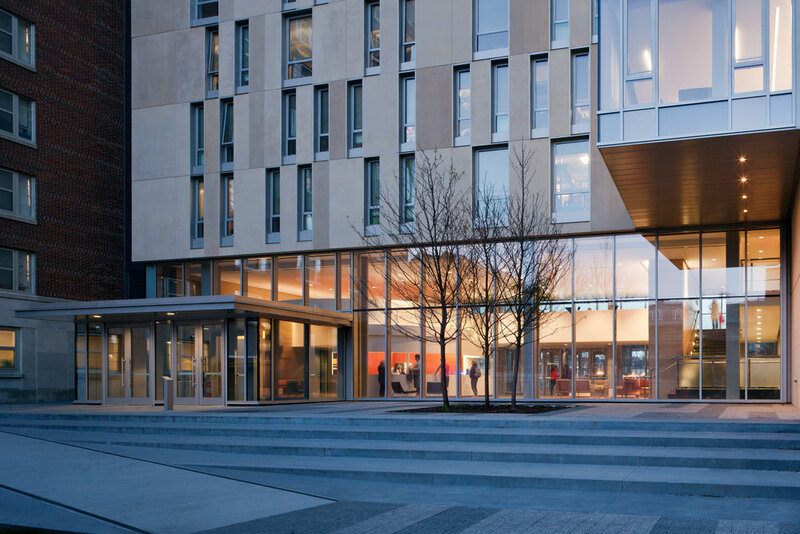 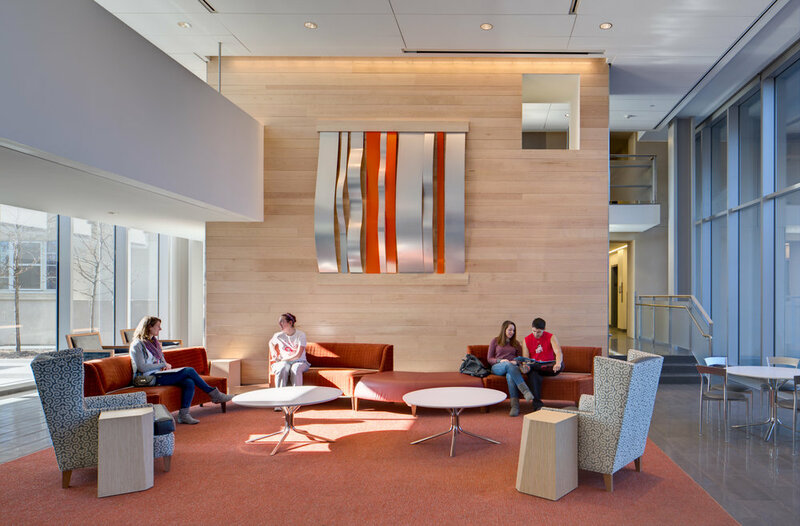 The project also included functional, aesthetic, and programmatic improvements to the buildings, including new finishes, redeveloped public spaces, a new emphasis on natural light, and conversion of traditional community bathrooms to semi-private bathrooms. 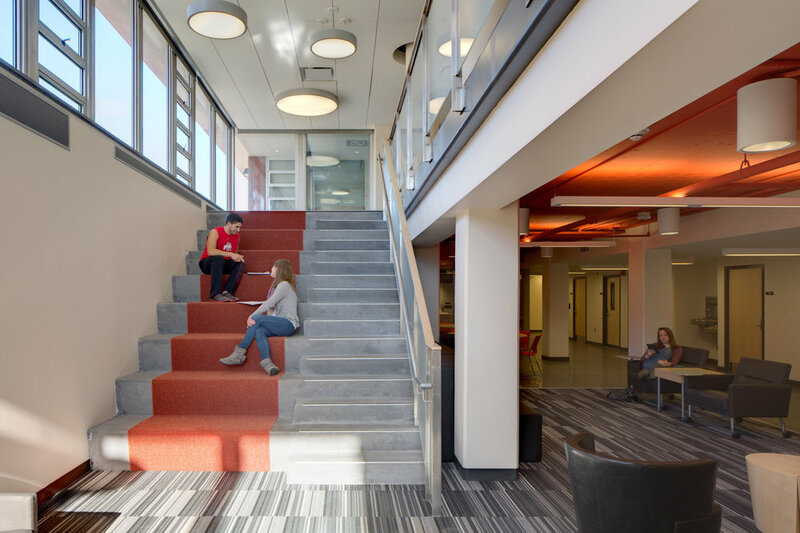 Our work also included renovation and upgrades to the six elevators in each of the buildings.